Editor's note: The book contest ended Feb. 6. We will be announcing winners soon. Whether one of your 2017 goals was to read more books, or you’re already a voracious reader, we’ve got you covered with our New Year reading list for IT pros. We asked IT executives to share what books they’ve recently read that they believe other technology leaders would enjoy. Book description: It’s easy to imagine a nightmare scenario in which computers simply take over most of the tasks that people now get paid to do. While we’ll still need high-level decision makers and computer developers, those tasks won’t keep most working-age people employed or allow their living standard to rise. The unavoidable question—will millions of people lose out, unable to best the machine?—is increasingly dominating business, education, economics, and policy. Book description: In today’s dramatically reconfigured world, success is increasingly dependent on how we interact with others. 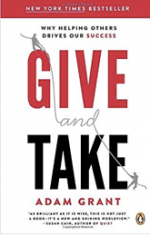 In Give and Take, Adam Grant, an award-winning researcher and Wharton’s highest-rated professor, examines the surprising forces that shape why some people rise to the top of the success ladder while others sink to the bottom. 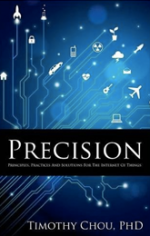 Book description: Precision technology powering an industrial Internet of Things has the potential to reshape the planet. To help clarify, Dr. Timothy Chou has created Precision to introduce us to the basics of the industrial Internet of Things (IoT). Case studies discussed span a number of industries such as power, water, healthcare, transportation, oil & gas, construction, agriculture, gene sequencers, mining and race cars. Book description: Companies can’t survive without innovating. But most put far more emphasis on generating Big Ideas than on executing them—turning ideas into actual breakthrough products, services, and process improvements. 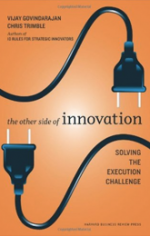 In The Other Side of Innovation, Vijay Govindarajan and Chris Trimble reveal how to execute an innovation initiative. Why it’s a must-read: “I love this book by these authors, both professors in the Dartmouth School of Business, who study what they call disruptive innovation. The focus of their research was to understand why it is so difficult to do disruptive things in large organizations. What they discovered is that you have to create a dedicated transformation team – something that’s outside of the mother ship, where they’re allowed to break rules. They can do things in a different way because you need to do it a different way to get different outcomes. For anyone pondering a DevOps transformation, this book is a must read." Book description: Gwynne delves deep into Jackson’s private life and traces Jackson’s brilliant twenty-four-month career in the Civil War, the period that encompasses his rise from obscurity to fame and legend; his stunning effect on the course of the war itself; and his tragic death, which caused both North and South to grieve the loss of a remarkable American hero. Why it’s a must-read: “I picked up the book because the history of Stonewall Jackson and the Civil War intrigued me, but the book has done more for me in terms of leadership than a lot of leadership books I’ve read. 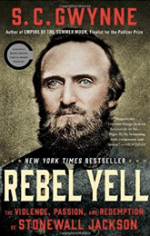 It’s a great story that chronicles a unique individual in Stonewall Jackson - how this socially awkward, enigmatic and painfully ineffective communicator rose to fame. I see a lot of parallels with developers. Many engineers avoid leadership because they are not as polished or don’t enjoy public speaking, but they have a ton of knowledge that can benefit technology companies. Jackson was bold in implementing new ideas and challenging conventional practices. I gained a lot of confidence from his leadership and think other leaders will as well." Book description: John B. Judis, one of America's most respected political analysts, tells us why we need to understand the populist movement that began in the United States in the 1890s and whose politics have recurred on both sides of the Atlantic ever since. 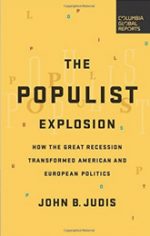 The Populist Explosion is essential reading for anyone hoping to grasp a global political system that is only just beginning what will be a long-running and highly consequential readjustment. Book description: All the classic works of the great master of magic, Robert - Houdin, under one cover, lavishly illustrated with hundreds of beautiful prints, engravings, and photos. Robert - Houdin (1805 - 1871) revolutionized the art of magic with his incredible stage mysteries and lifelike automata, and he thankfully left a number of books recording his philosophy and techniques. Why it’s a must-read: “Arthur C. Clarke’s ‘Third Law’ states that ‘Any sufficiently advanced technology is indistinguishable from magic.’ As an inventor and technologist, that adage has become an ethic by which I measure the quality of the experiences I create. To that end, magic itself is, and always has been, imbued with technology. 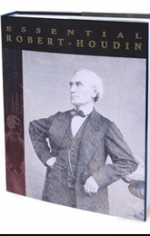 I would recommend this compendium of all Houdin’s writings to anyone who wants to understand the motivations, machinations, and innovation that resulted in countless moments of wonderment over the past two centuries." 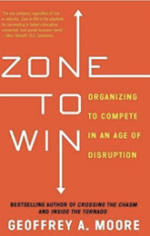 Book description: Focused on spurring next-generation growth, guiding mergers and acquisitions, and embracing disruption and innovation, ZONE TO WIN is a high-powered tool for driving your company above and beyond its limitations, its definitions of success, and ultimately, its competitors. 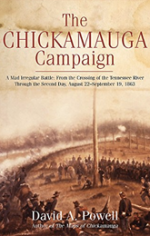 Book description: The Chickamauga Campaign—A Mad Irregular Battle is Powell’s magnum opus, a tour-de-force rich in analysis brimming with heretofore untold stories. It will surely be a classic must-have battle study for every serious student of the Civil War. Why it’s a must-read: "Right now I’m reading about the battle that is sometimes called ‘one of the most complex military operations’ of the Civil War. Although it may not be your typical business book, anyone in management could learn a fair amount from it. The failures in communication, alignment, and tactical performance would be familiar to any seasoned project manager. However, in this case, these failures had far more dire consequences. Sometimes we fool ourselves into believing that modern tools and technology have solved many of the communication and performance issues that occurred in the past. But when you read about some of the Civil War battles you realize that there are certain tendencies in human nature that you need to proactively guard against whether you’re dealing with 19th or 21st century technology!" 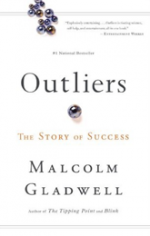 Recommended by: Monika Fahlbusch, chief employee experience officer, BMC Software, Inc.
Book description: Malcolm Gladwell takes us on an intellectual journey through the world of "outliers"--the best and the brightest, the most famous and the most successful. 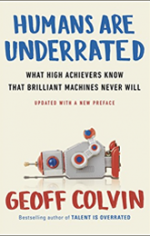 He asks the question: what makes high-achievers different? I want to know if all of these books listed here are available in Nigeria... I'll be very glad to get some. Thanks! Great list but your missing one. Extreme Ownership by Jocko Willink and Leif Babin is a must read. In the complex times with constant change, never ending requests, and lean teams this book helps you understand how to adapt using critical principles including decentralized command, prioritize and execute and cover and move. Implementing these and the many more items covered in this book will help your team lead and win in any situation.